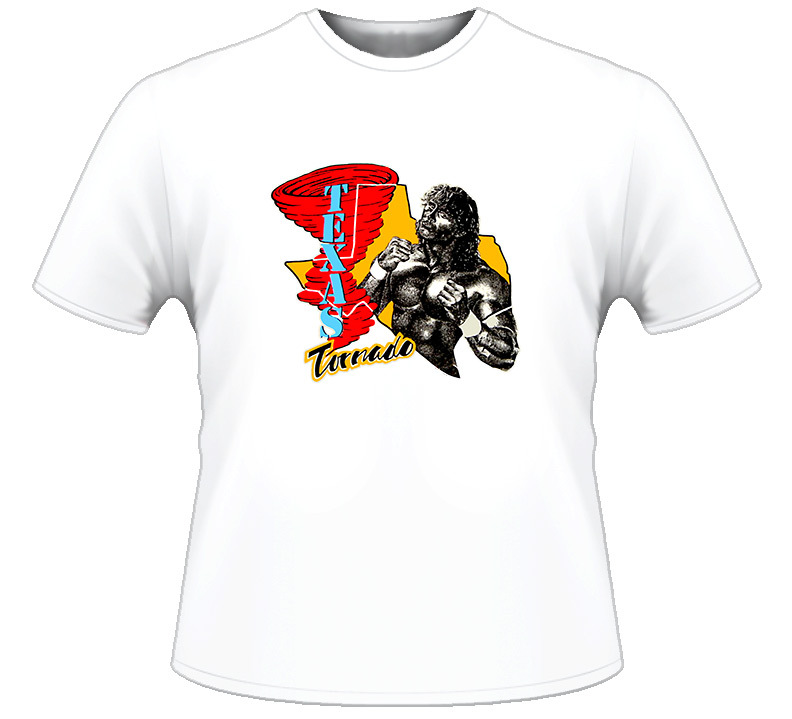 Someone Bought This: Funky Texas Tornado logo shirt - WrestleCrap - The Very Worst of Pro Wrestling! Blue, orange, red, and black/white?! I can’t decide if I hate it because of the contrasting colors or love it because it’s so cheesy. A giant red tornado coming at you would be pretty terrifying, though! 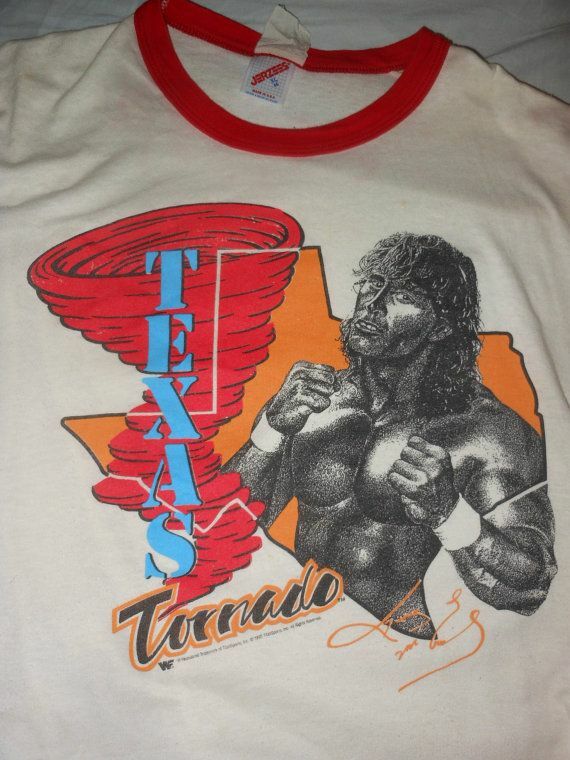 2 Responses to "Someone Bought This: Funky Texas Tornado logo shirt"
So, Kerry must have been cleaning all the soot from his chimney when said Red Tornado struck the ol’ homestead. Red Tornado sounds like a cool drink to get from a chain restaurant.